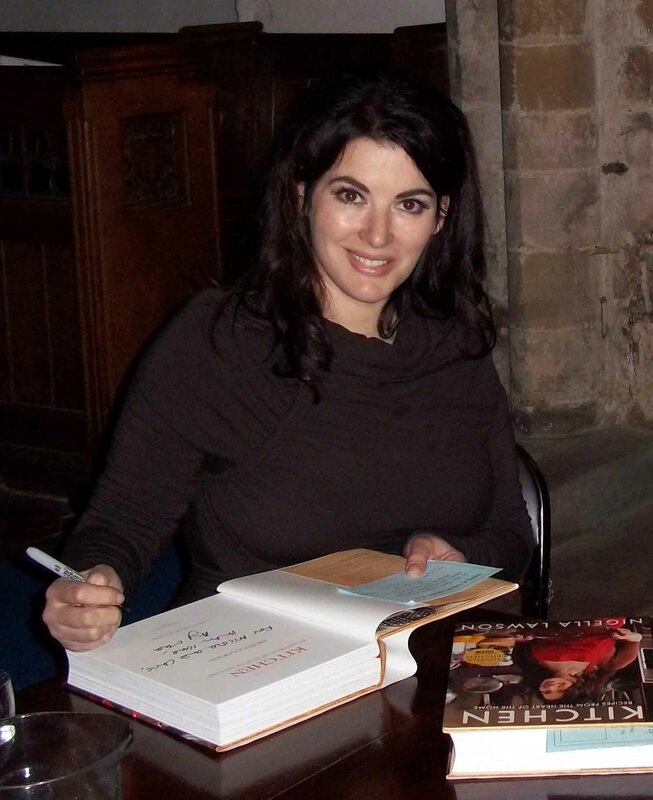 The day before our pack out, as I was pulling out my hair, I met Nigella Lawson. Yep, that's our book she's signing! In spite of our constrained time table I insisted we arrive 30-minutes before the admittance time convinced there would be a queue around the church. But there wasn’t. Us and the gatekeepers were the only ones who stood in the amber autumn sunlight. So I decided to race into town center to buy the cans of furniture polish I couldn’t get in the states. And if I had time I was going to stop into Yarn on the Square to get another skein of Lang Yarns Mille Fiamme to make a hat to match my scarf. As I strode up the High Street a beautiful woman approached with a fawning man. Nigella Lawson! I watched as others did a double take. She walked right by me and I was so excited that I opted to race into Yarn on the Square before getting the wood polish to share my news with Ginette and buy my yarn. I achieved both and then raced back to St. Mary’s. After the talk we stood in line an interminable period (so long that I actually started to swatch my next sock as I stood there, much to the amazement of the ladies behind me). The wait was mostly due to queue jumping, how very unBritish of the crowd! When we got to the front I couldn’t think of anything charming or witty to say to Nigella. I wanted to mentioned that she walked by me on the High Street and that I thought she was just as pretty in person as on TV, but I didn’t want her to think she’d just acquired a new stalker. So instead I smiled and said I enjoyed her talk as she signed our book. Incidentally, I heard she was meeting Delia Smith for dinner in Norwich that evening. I wonder if they went to the chippy for fish and chips? I bet they ate at Delia’s restaurant. Did you and Chris make it there before you left?